We’ve all heard the headlines, ‘Is that fish the fish you think it is?’, ‘Fish fraud: What’s on the menu isn’t often what’s on your plate,’ etc. And it’s no wonder because not only is seafood one of the most consumed foods in the world, it is also one of the most difficult to trace, making transparency challenging even in some of the best of circumstances. These challenges also make seafood fraud easier. In late 2018, the New York State Attorney General Barbara D. Underwood’s office issued a report entitled “Fishy Business: Seafood Fraud and Mislabeling in New York State Supermarkets,” with eyepopping statistics on mislabeling including 67% and 87.5% of red snapper and lemon sole mislabeled, respectively. You may ask, how can we address the challenges of traceability and transparency when transactional records are tracked inconsistently, in different languages, and with no true unified system for easily tracing a seafood’s origin? The Institute of Food Technologists Global Food Traceability Center is addressing this issue through its collaborative work with the Global Dialogue on Seafood Traceability as a convener and research authority, which was established to advance a unified framework for interoperable seafood traceability practices. The effort underscores a trend in the food industry to provide visibility into supply chains and give assurance to consumers that the products they choose to consume are authentic and safe. Terms to describe these trends, traceability and transparency, touch on food fraud and can blend into one another and mislead expectations. Traceability is the ability to track the forward movement of food products through supply chain segments and the ability to trace backwards the history, application, and/or location of that product. Historically, traceability is a business to business exchange of information that is largely opaque to the consumer. it may be cumbersome and costly to provide this information to consumers. This said, more and more companies are committing to providing consumer facing traceability information. The challenge comes in developing a common, mutually intelligible language between supply chain partners, known as interoperability, which allows for a better exchange of this information with each other to allow for quicker recalls, product authentication, and to account for legality (especially in seafood). You may think that if a product is traceable, it then it must also be transparent, but that’s not always the case. The Center for Food Integrity defines transparency as “… the rational offering of honest information that has the emotional appeal of inviting confidence and authentic connection” (www.foodintegrity.org/wp-content/uploads/2018/03/Transparency-Report_FINAL.pdf). Using this definition, transparency can be viewed as more of an individual company’s choice rather than a supply chain-wide decision to reveal information. Some components of traceability may be incorporated into a transparency commitment by a company, such as disclosing suppliers. Conversely, a product can be robustly and digitally traceable without the company providing that information to their customers. Some of the conflation of terms is due to novel technologies. One such technology, blockchain, may be one of the most disruptive technologies seen on the market today, given its promises and aspirations. Blockchain by its very nature is able to address concerns regarding business sensitivity as well as costliness while also supporting transparency to supply chains, sharing data ownership with all supply chain partners on the same or interoperable blockchain frameworks, and the potential to reduce reliance on trusted intermediaries to verify information. Thusly, blockchain technologies are often purported to offer both traceability and transparency. By having a common, decentralized ledger, it is envisioned that all supply chain partners may be able to have a unified platform in which to enter, store, and link data on products as they move from farm to fork. The caveat to these abilities of blockchain systems to provide end-to-end traceability, is that the system would still need standardized Key Data Elements (KDEs) to be collected at agreed upon Critical Tracking Events (CTEs) in interoperable formats and sharing protocols. Recognizing the complex challenges of seafood traceability, IFT’s Global Food Traceability Center (GFTC) in collaboration with the Global Dialogue on Seafood Traceability came together in April 2017 to identify and address these challenges head on. Through their extensive work, they have established a unified business-to-business framework for interoperable seafood traceability practices. The effort underscores a trend in the food industry to provide visibility into supply chains and give assurance to consumers that the products they choose to consume are authentic and safe. Using a business-to-business framework, the GFTC and Global Dialogue is issuing a technology agnostic standard, which can work with innovative technologies like blockchain as well as legacy technologies, to enhance traceability systems in the seafood industry to reduce fraud, increase accountability, and decrease opacity in supply chains. Because companies can answer critical questions with assurance that they may previously had difficulty in doing, such as where their product was caught and a chain of custody to help authenticate product, companies are able to be more transparent. This is why the Global Dialogue is working to resolve such issues as: how can we account for a product’s harvest origin and date, how can we verify that a seafood product is the species entered, and how can we transfer this information between small scale fishers in Indonesia all the way up to large retailers in the US. Ultimately, consumers want to have reliable and trusted connection to the food that they eat. This can be very difficult, particularly in the case of seafood where products may come from thousands of miles away and through many hands in several countries. 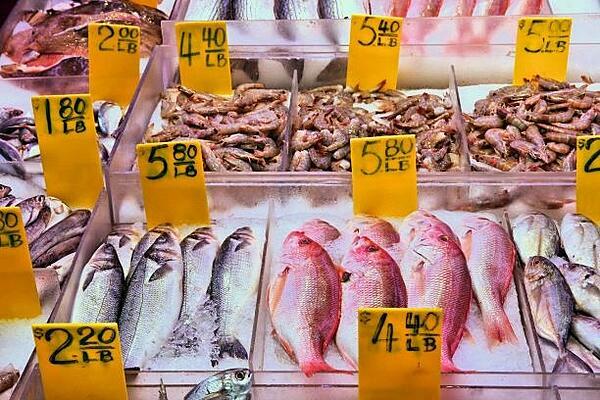 With efforts such as the Global Dialogue and the GFTC , the industry may be able to address customer demands for more information about the products they consume and combat seafood fraud and mislabeling, while simultaneously assisting with piloting and implementing solutions that work at the speed of business—and perhaps even faster! In our new online course, Demystifying Traceability, small to mid-size companies can either evaluate the effectiveness of their existing traceability plans and/or create new ones.